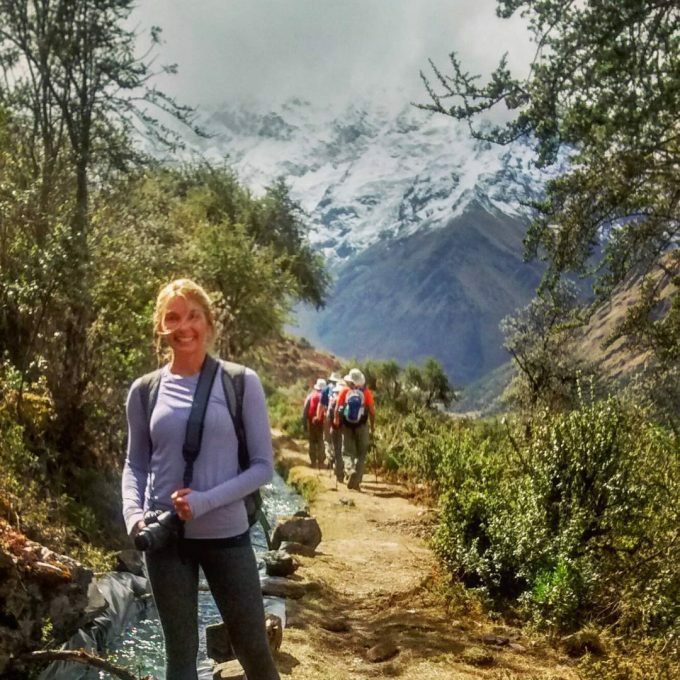 Day 1: An easy hike with views of the Andes. Pack light for the horses. 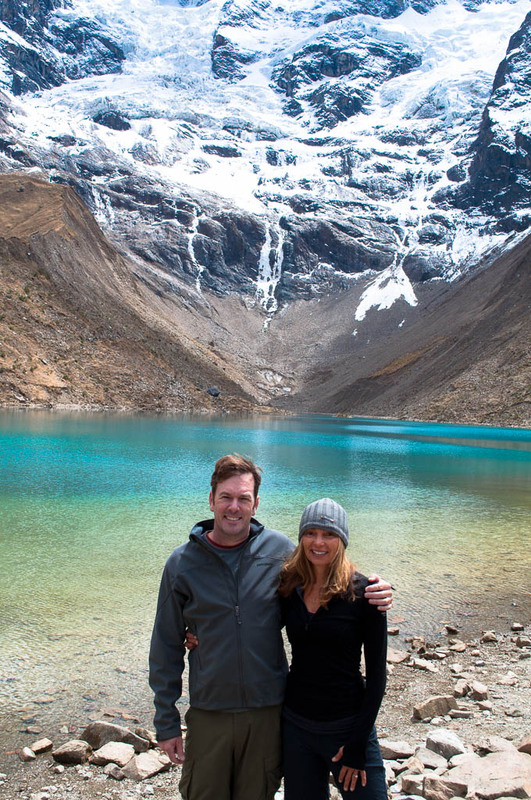 Day 2: Our acclimatization hike to a glacial lake. No one dove in despite how gorgeous it looked. 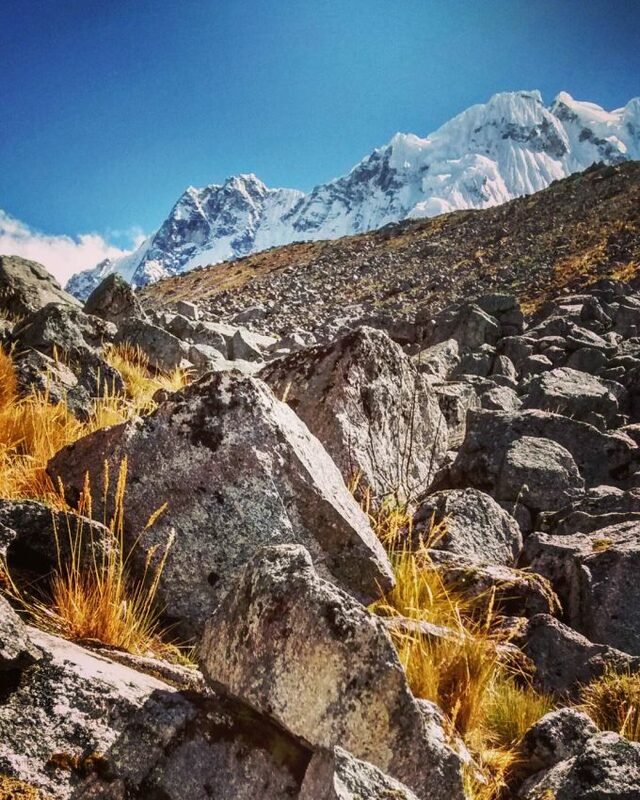 Day 3: Heading towards Salkantay pass. Smiling at the gorgeous weather. We rested often to catch our breath. We were awed by the beautiful, rocky terrain. 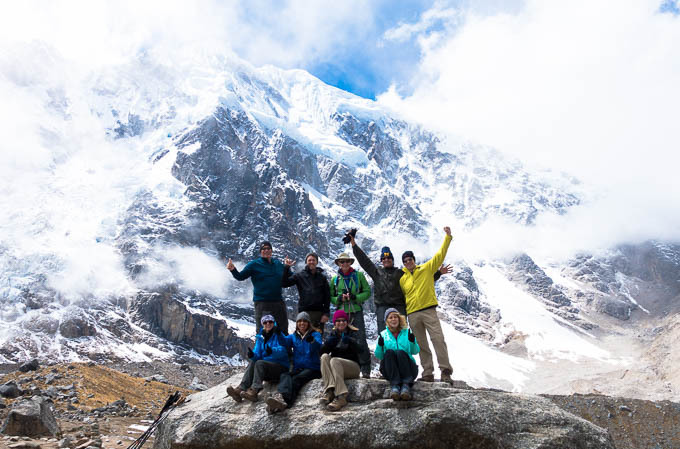 We summited 15,200 feet over Salkantay pass. Yay!! We lucked out with a gorgeous weather. Day 4: We descended into the rain forest. Day 5: We walked along ridges with beautiful views. 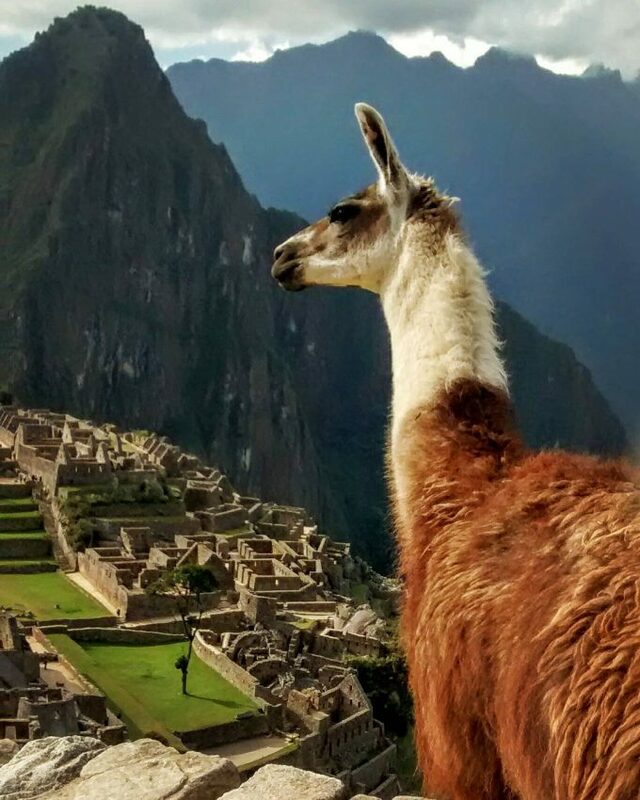 Day 6: We finally arrived at Machu Picchu. We were amazed by this terraced city. 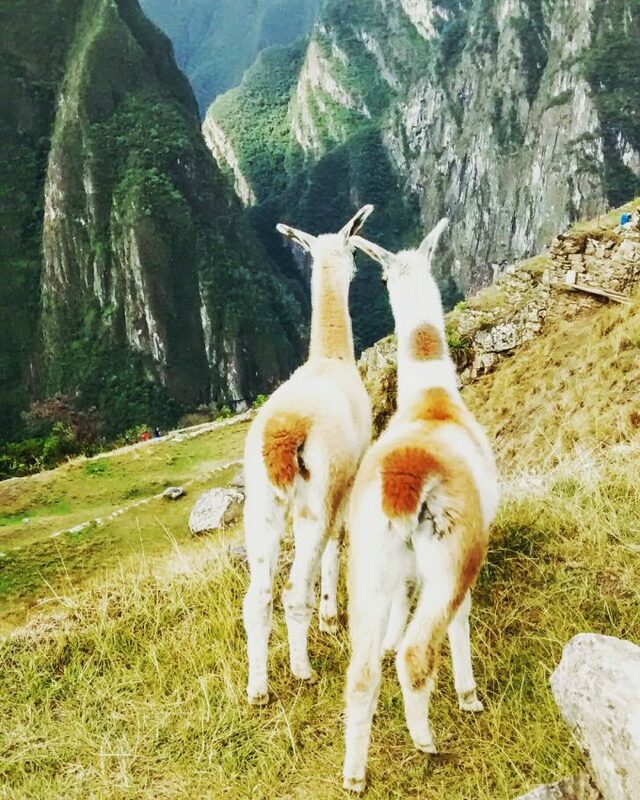 We found the sweetest llamas. I wanted to take them home. 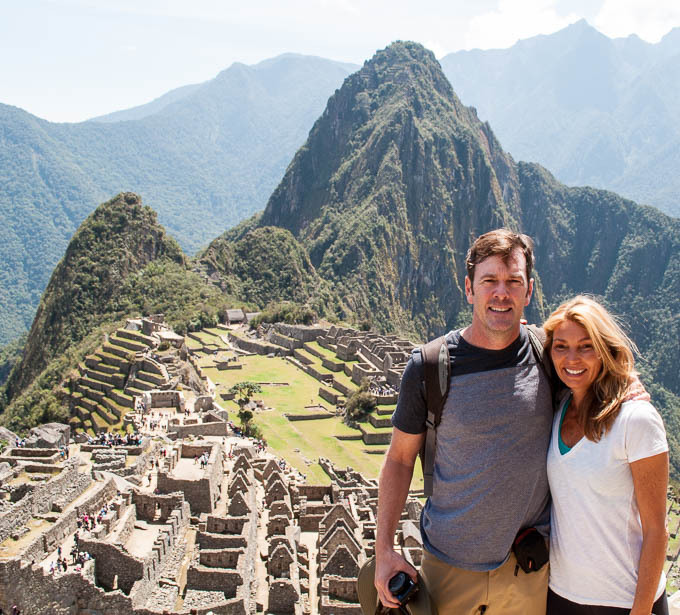 Last day: We hiked Montana Machu Piccu. Spectacular views but vertical narrow stone stairs and sheer drops…not for anyone with vertigo or a fear of heights. I loved this beautiful journey. For more information about hiking lodge to lodge with REI- click here. 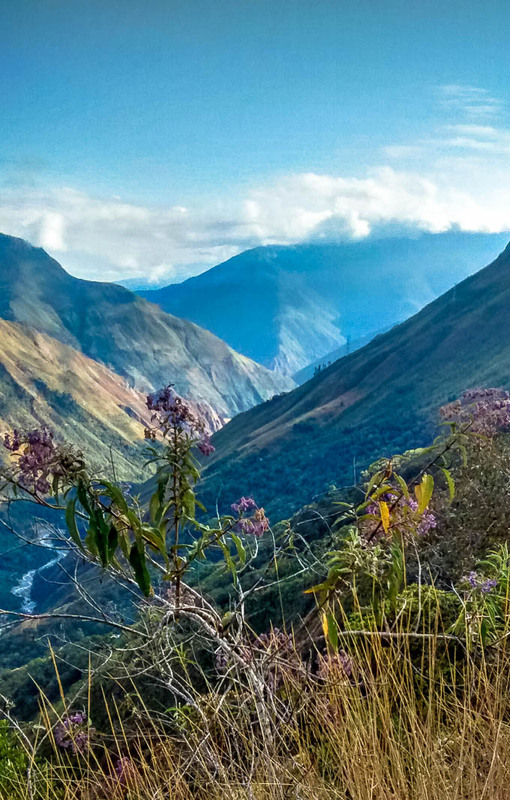 The Salkantay trail is 43 miles long and can be hiked over 5 days. 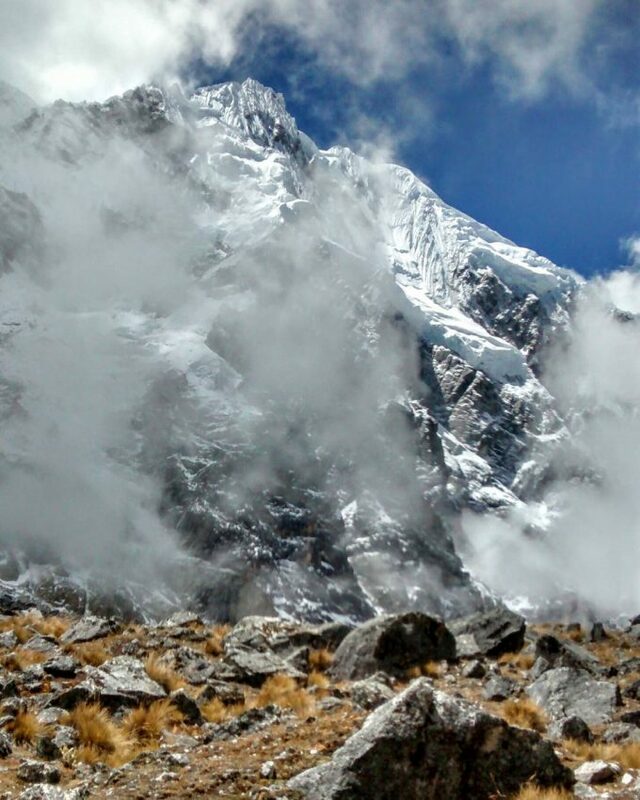 The most challenging part of this trip is getting over Salkantay pass (15, 200 ft.) The trail itself is not scary but the altitude can make it difficult to breathe. I worried about this part of the hike but in reality, it was very doable. 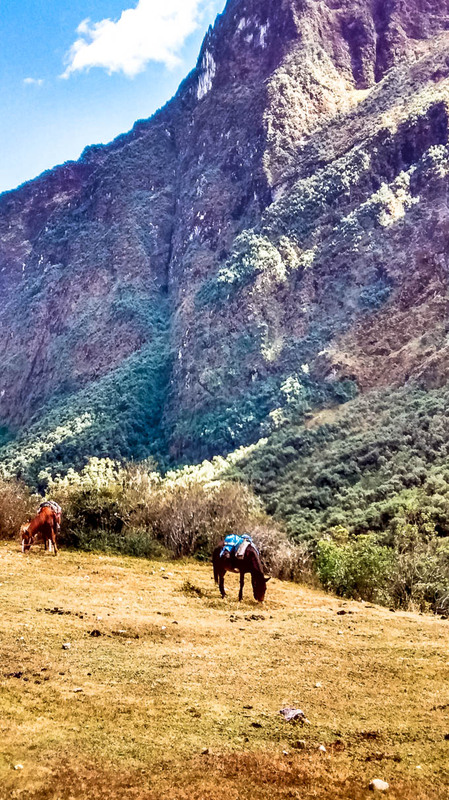 I think spending a few days in Cusco (11,000 ft.) to acclimate made all the difference. 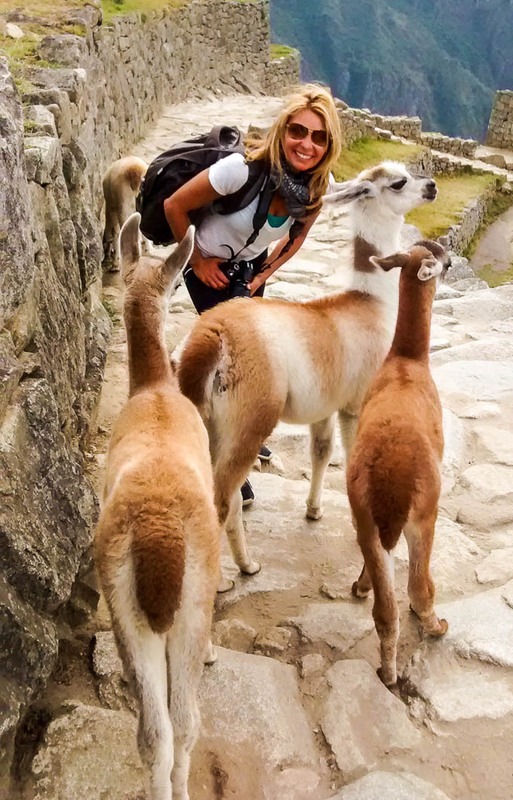 I found the most challenging day was hiking Montana Machu Picchu at Machu Picchu. 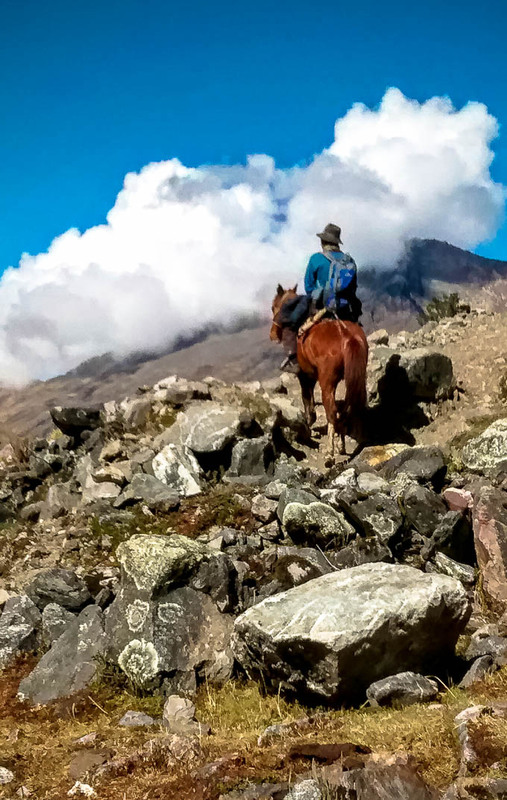 You will need a permit for this hike and the views are spectacular but be prepared for 1.5 hours of steep, narrow stone steps and a few narrow passes. Combat altitude: Altitude affects people differently regardless of fitness level our age. In fact, the youngest member of our group (21) returned home from altitude sickness. 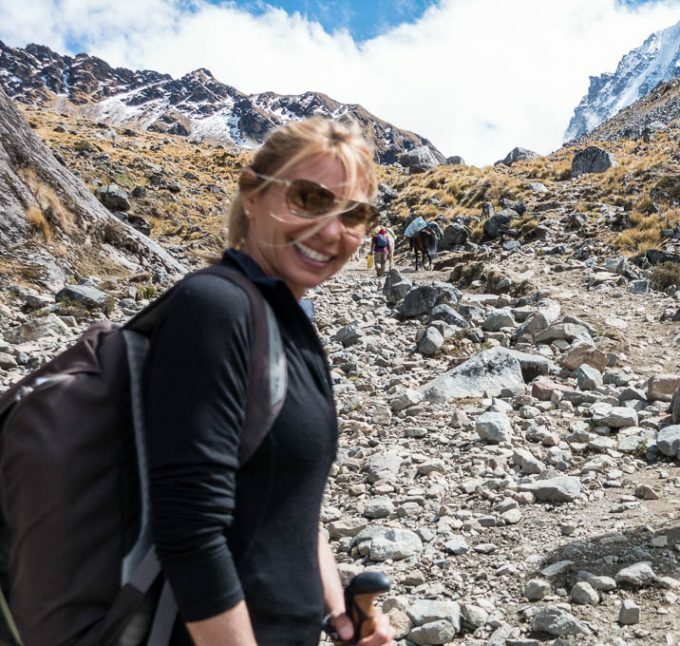 Several other hikers with us took Diamox, a prescription medication for altitude- but it has some side effects (Dizziness, lightheadedness, increased amount of urine may occur, especially during the first few days as your body adjusts to the medication. Blurred vision, dry mouth, drowsiness, loss of appetite, stomach upset, headache and tiredness) that I didn’t want so I opted for a natural approach. Chlorophyll Drops. This emerald drops I bought at Whole Foods are supposed to strengthen the immune system and increase red blood cells. I’d read that they help with altitude so I took them for 2 weeks prior to leaving and added drops to my water each day. For me, they worked like a charm. Arrive Early. 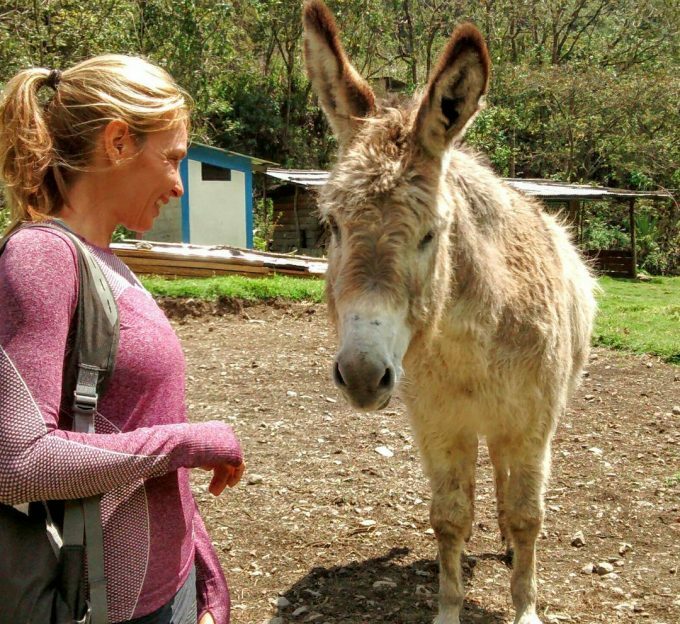 It takes time to acclimate properly so I arrived in Cusco 2 days before the hike began. Drink Coco Tea. When in Rome, do what the Romans do. Well, the locals drink coco tea, so did I. 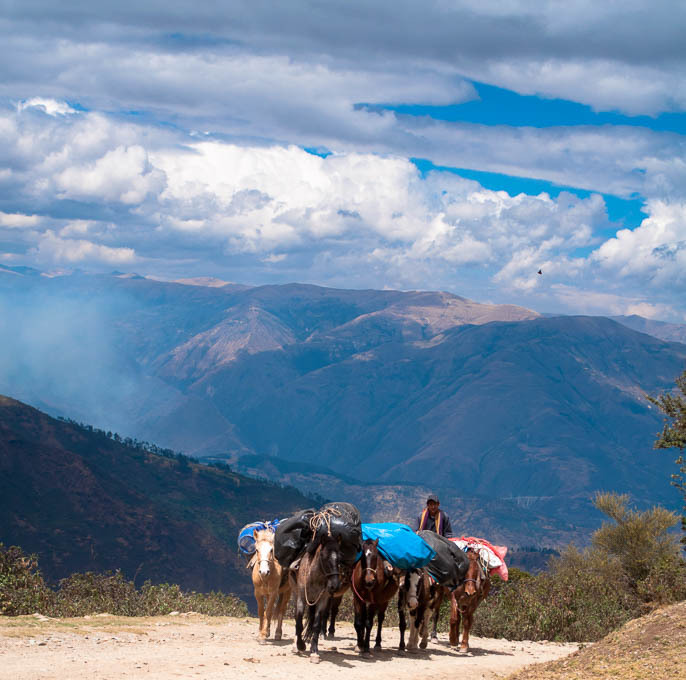 Packing for many climates: The weather on this trail varies a lot. The peak is cold but the rain forest is warm. Packing was confusing. You want to pack light and wear layers. My best purchase was the ICEBREAKER 260 merino wool half zip. It saved me. I bought it on ebay for under $50. It was versatile and worked well over light layers or under heavier ones. 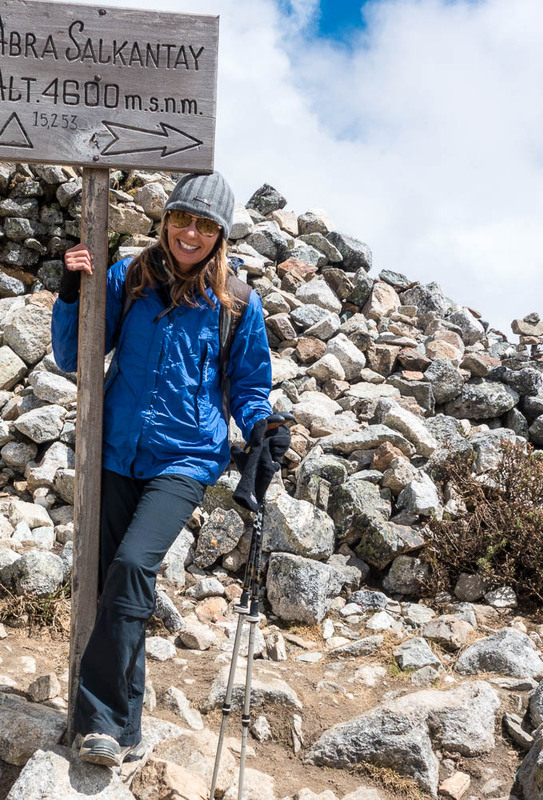 Poles: I’m not a big hiking pole fan, but it was good to have them. Your knees will thank you. Umbrella: After hiking the Tour de Mount Blanc (where it rained) I decided to always hike with a folding umbrella. Luckily, I didn’t need it for this trip but it’s still good to have. Trekking Company: My husband and I went with REI which does this lodge to lodge. I highly recommend them. The remote lodges felt like a wonderful reward at the end of each hike. Private rooms with comfortable beds and hot showers, freshly prepared dinners, and glasses of wine by the crackling stove. 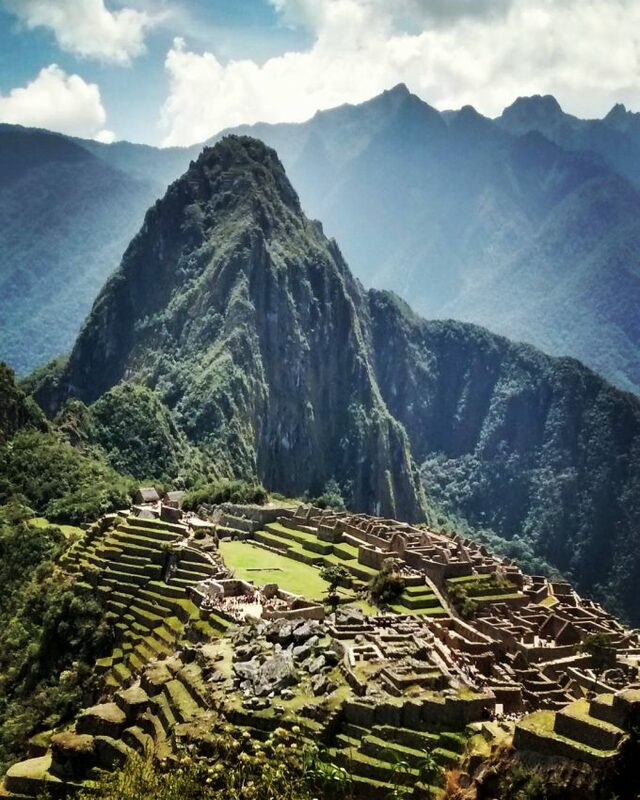 Amazing experience for the Machu Picchu journey. 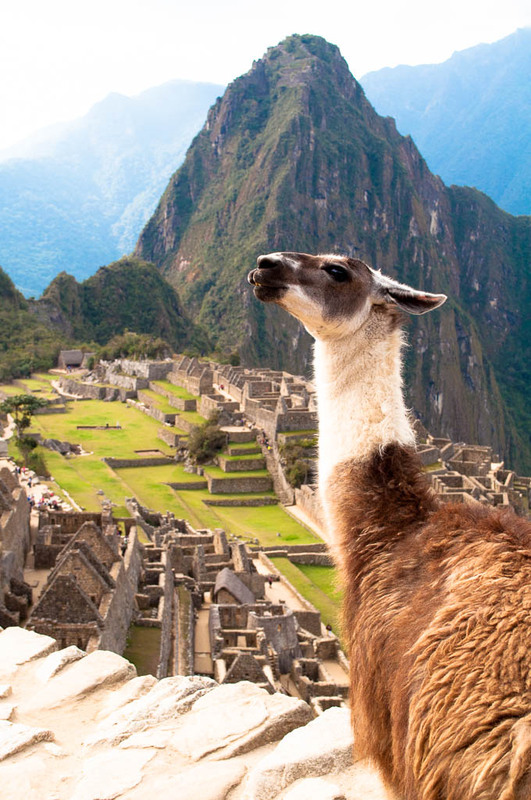 Actually the are different routes to get to Machu Picchu, for example: Salkantay Trail, Lares, Cachiccata, Choquequirao, Inca Jungle and the trip to Machu Picchu by bus via Hydroelectric. Thank you for adding this information. 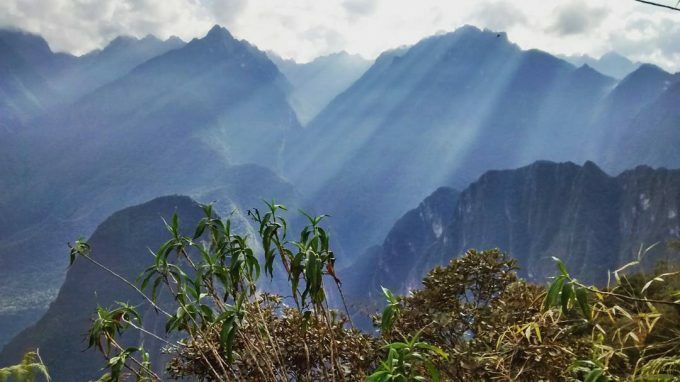 I really liked Salkantay. Way less crowded and huts along the way vs. camping. I would like to recommend walking sticks and mosquito repellent, rain poncho. 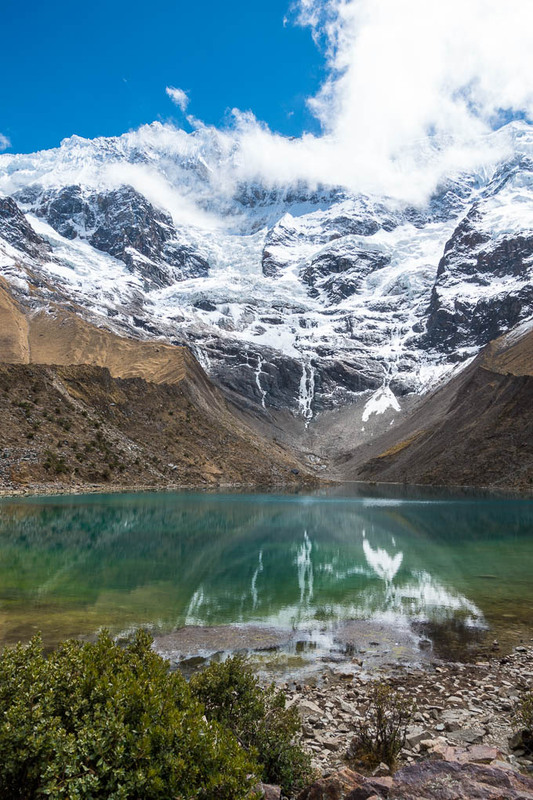 However anytime you are going to salkantay make sure to have rain clothes with you. 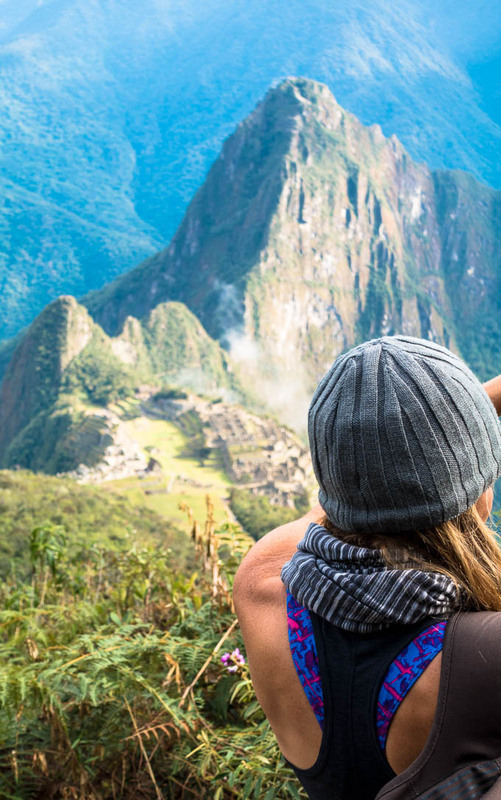 Actually the are different routes to get to Machu Picchu, for example: Salkantay Trek, Inca Jungle, Choquequirao, Lares Trek, Cacchicata Trail. These are excellent suggestions. The bugs are pretty bad and poles are great. Lucky for me, we only had a small amount of rain. What time of year did you go? We’re going in July and wondered about the weather for winter in Peru. We’re not doing it thru REI, but using the same company. Also, I’m afraid of open heights (falling, really). Because of broken ankles in the past, my balance isn’t the greatest (working on it). I’ve seem some videos about crossing sketchy “bridges” across rivers. How bad were they? Also, I’m not sure about doing WP at then end. Is it worth it to push my fear to see the views? I’m so excited for you to hike. My husband and I had a great trip. We hiked in August (around the 19th). It was chilly and rained once in Cusco (but we loved it). On the trail, it only rained at night but I think we got lucky. The group before us had snow going over the pass — it’s so unpredictable. Like you, I get scared when trails are dangerous or “sketchy” but to my surprise- I thought this one was pretty non-technical – mostly wide “roads” and donkey trails. One morning after a rain, the trail down through the forest was slippery but I took my time and used poles (no one else felt this way). One couple struggled with the altitude but the 72 year old in our group was the first to summit. Chlorophyll and cocoa leaf tea helped me. I recall one wooden/rope bridge that sways (like in the movies) but I didn’t find it scary. As for WP- I didn’t do it (they only allow a certain number of permits). However, a few guys in our group said it “wasn’t that bad”. I think it’s a great challenge if you can get up the nerve but it is crowded and the stairs are narrow and steep. 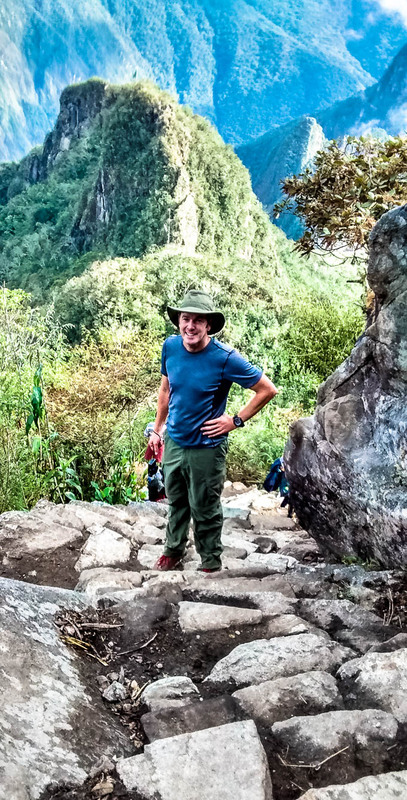 I hiked most of Montana Machu Picchu (less challenging) but the narrow, steep steps got to me after awhile and I turned around. I hope this answers your questions. If not, don’t hesitate to email or ask another. I know hiking experience is relative but of the major hikes I’ve done, this was the least scary.